Bitten by the racing bug? 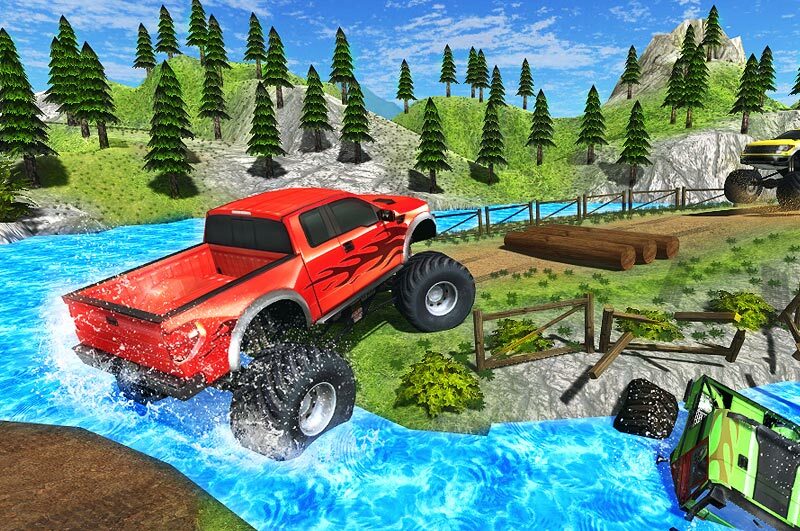 You are sure to love Car Traffic Race, an android racing game developed by LabException. The game is targeted for seven plus year olds, but can entertain old and young alike. 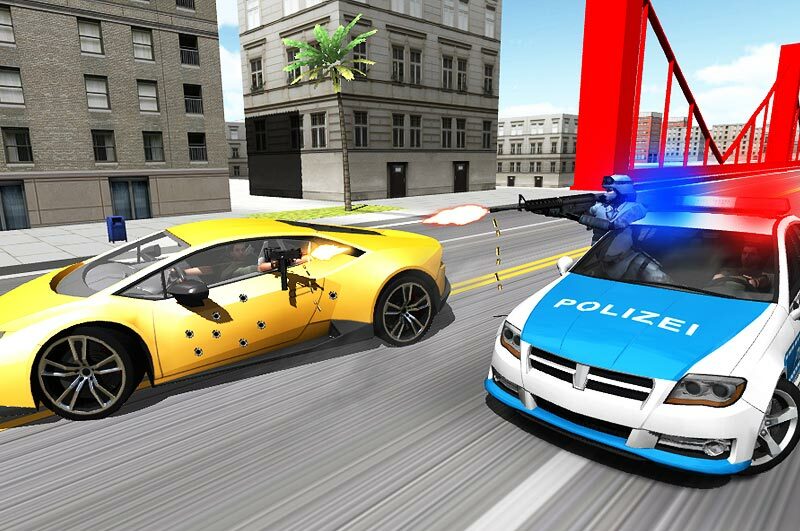 The game involves gathering enough cash or coins to unlock the next fascinating car to race with. You can get to unlock six cars with colours being red white, orange, green, and black and white. 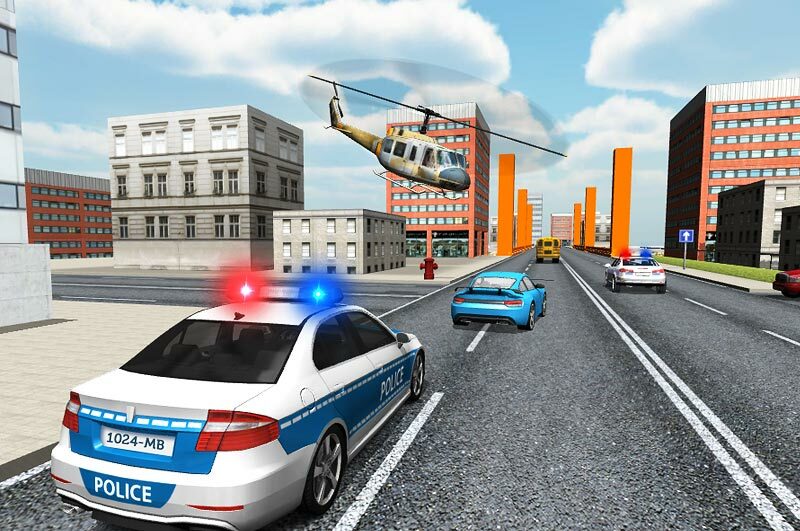 A police car is also one of the available choices. Ironically, the police car itself is the racer! Looks like to catch a few street racers, you need to think like a street racer. The steering controls are easy. By touching and holding the screen you can get a power boost and can really speed up the car. The car has tilt to steer feature as well which makes it a little challenging at times to steer. While you tap the screen to accelerate, releasing will let you slow down. As good as the power boost seems, it also proves to be a bane as the risk of crashing into the traffic is more. As you move ahead in the game, the speed gets automatically increased with auto speed up feature. 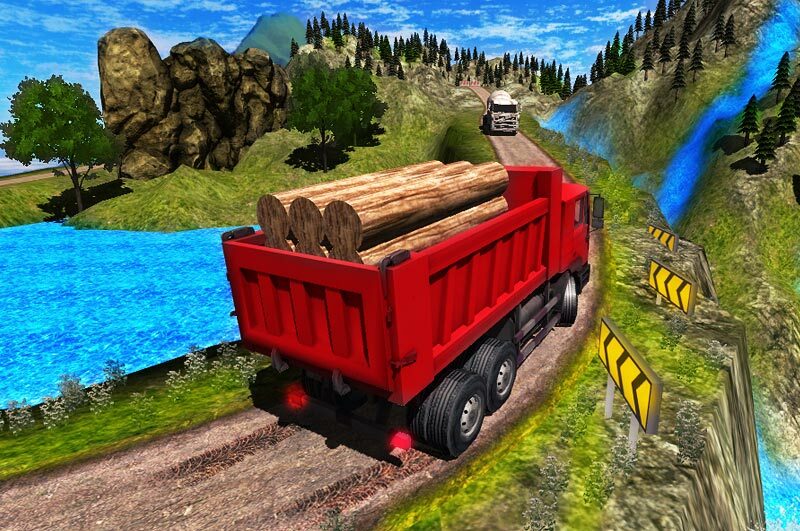 Driving at high speeds can be tricky, and indeed, if you crash into another vehicle the game ends! No blaring and monotonous music other than the sounds made while you collect coins is a plus point. 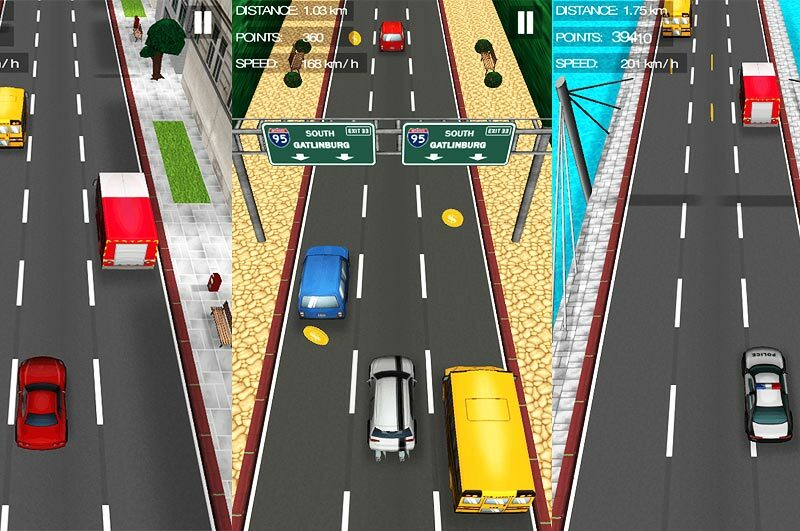 Car Traffic Race lets you earn in-game currency in the form of coins by passing through coins on the go and collecting them as you race. The coins are placed in such a manner that collecting all of them is challenging, to say the least. There is an option for obtaining a coin collecting magnet which is placed at certain intervals. The magnet is a reassuring option which ensures you do not miss collecting the coins. As you drive up, you go through the magnet to get it. Sometimes, the traffic can be rather dense. If you steer towards the magnet, and a vehicle happens to be blocking it, you could end up crashing into it. The scenario can happen where all three available lanes are blocked by traffic. Since there is no option of going off road, you may have to just start over. When you are starting over, all the cash earned previously stands cancelled and you have to earn them again. The cash can be used to unlock new, fascinating cars. Each car features new vinyls and new body paint which makes each one of them look attractive. The surroundings are dynamic and there is a change of scenery as you race ahead. Different, stunning three dimensional terrains greet you as you go. In the beginning is the city environment with the usual highway traffic with realistic cars and vehicles around. The city is followed by the desert environment with increased traffic. Along with the traffic, the auto speed up gets further boost too! Driving at such high speeds in increasing traffic can give you the goose bumps as you try to avoid crashing into any vehicle. As you drive up the crazy traffic, you can take in the amazing three dimensional views of snow laden paths, spectacular coastal views, besides thrilling tunnels and bridges. The racing never ends and can take you to fascinating streets, seashores and deserts.